Whilst working on a recent project, I had to implement a directory using the Joomla component Mosets Tree. 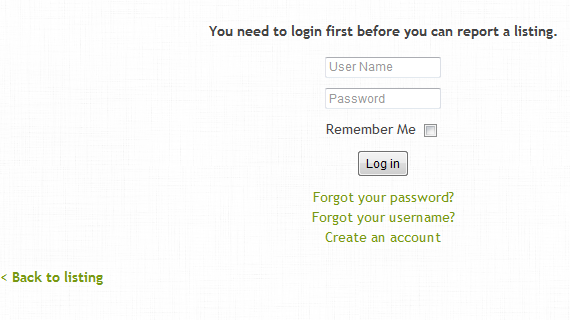 As anyone who uses this component knows, when attempting a task which requires the user to be authenticated first (i.e. submit a listing, submit a listing review, report a listing, etc. ), Mosets simply displays an error message, such as “You need to login first before you can add a listing / write a review / report a listing” without redirecting to a login / registration page. In fact, this is a recipe for adding any Joomla module to a Mosets Tree page, especially useful for listing details (sub_listingDetailsStyleX.tpl.php). Just replace mod_login with the name of the module which you want to add. This entry was posted in Hacks and tagged joomla, mosets tree. Bookmark the permalink.